One of our favorite seasons to visit the Walt Disney World resort area is during the spring months for the EPCOT Flower & Garden Festival. Every year we look forward to the “most floral time of the year,” at the Walt Disney World Resort, and although this may sound like an adults only event, the event is popular with Disney guests of all ages. Jump into spring as we celebrate the most floral time of the year at the Walt Disney World Resort! This year marks the twenty-third anniversary for The Festival, and it takes place from March 1st through May 29th, 2017. It’s hard to believe it’s been around that long, but with more than 30,000,000 flowers, fifteen outdoor kitchens, nineteen educational gardens, gardening and culinary demonstrations, topiaries, there is something for everyone during the Epcot Flower and Garden Festival. The Festival takes place over a record ninety days in the spring beginning March 1st through May 29, 2017. EPCOT is transformed into a horticultural paradise featuring over one-hundred character themed topiaries, rare and exotic plants, cooking demonstrations, gardening seminars, and weekend concerts. 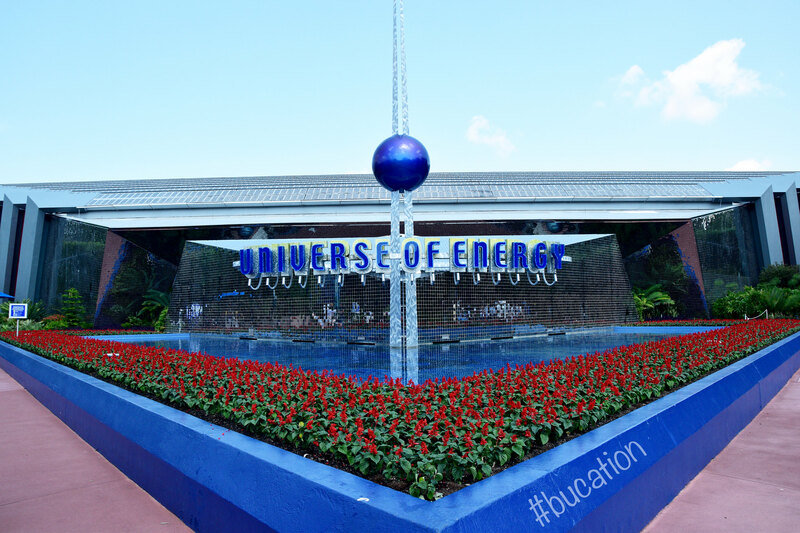 For these seventy-five days the flora and fauna of EPCOT are the Park’s main attractions. When it comes to character topiaries, one of our favorite Festival games is to spot the new, the old, and the incredible. 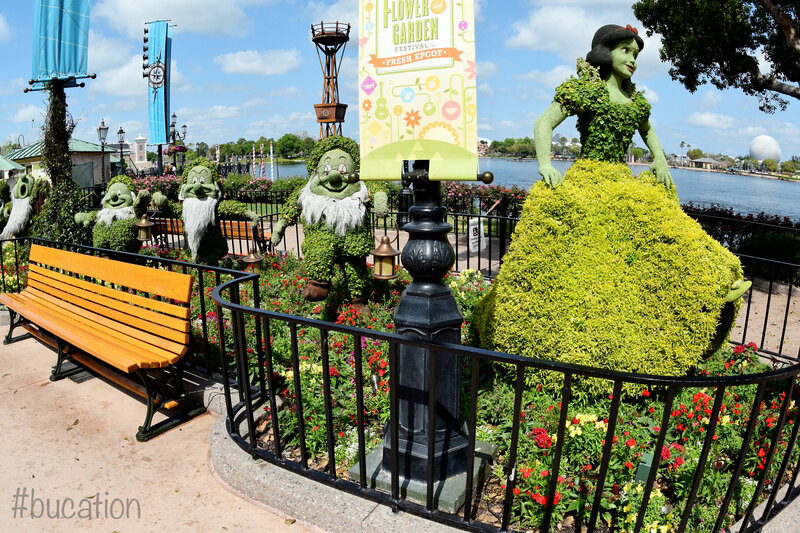 There are over seventy character topiaries at this year’s Festival. In 2016, two special character topiaries were themed in honor of the National Park Services 100th Anniversary, and Ranger Mickey Mouse made his debut. Daisy Duck, Donald Duck, and his nephews, Huey, Dewey, and Louie, welcomed park guests at Epcot’s front entrance to Future World. This is a popular spot to snap a selfie or even a family portrait with these new topiaries as Spaceship Earth radiates in the background. Throughout the Festival, the entire resort is in full bloom. The Disney Horticulture team does a fantastic job of keeping the resort well-manicured all year long, but the team certainly pulls out all the stops during EPCOT’s annual Flower & Garden Festival. The character topiary displays are certainly a site to see, and they have become a staple for family photo-ops as well as Disney’s Photo Pass Photographers throughout EPCOT. These expertly crafted topiary displays also allow for an excellent opportunity for younger guests to learn more about flora and fauna. The Disney Horticultural Team has also done an excellent job of designing kid-friendly play areas themed to some of our favorite movies like Monsters Inc. and Cars. 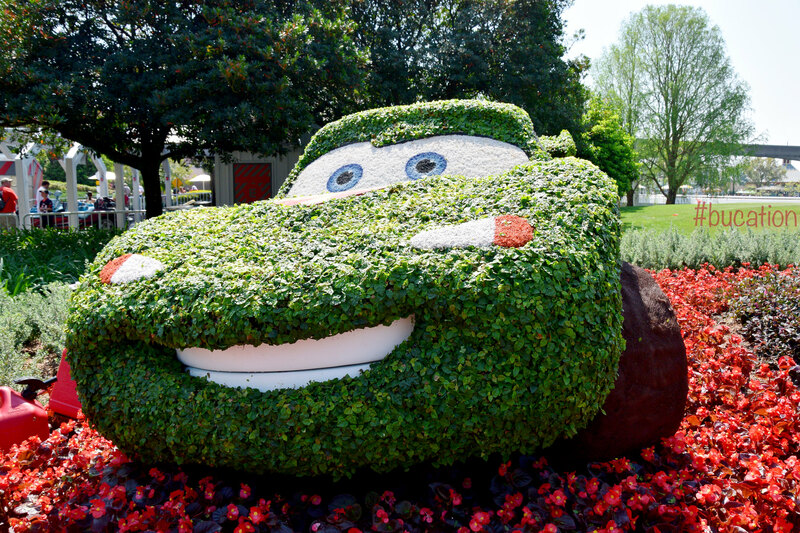 Some of our favorite themed plants can be found surrounding these play areas such as monster-themed shrubs and a Lightning McQueen topiary display. Disney outdoes itself with the stunning landscape installations of the Flower & Garden Festival. Topiary displays are expertly crafted out of natural materials. Miniature gardens can be found throughout the park such as “Cactus Road Rally” located in Future World and a “Tea Garden” located in World Showcase’s U.K. Pavilion. While you’re visiting the countries of World Showcase, be on the lookout for hidden floral displays at the 2017 Festival. Peter Pan is flying high in the U.K. Pavilion, and if you aren’t looking overhead, you may miss him! One of our favorite attractions throughout the festival is the amazing Butterfly Garden located not far from the EPCOT Character Spot in Future World. Here you have the opportunity to get up close and personal with at least 10 species of butterflies. If you’re lucky, you may have the opportunity to witness a butterfly up close, and one may even land on your shoulder! The Festival does an excellent job of both entertaining and educating all ages of Disney Guests throughout their visit. 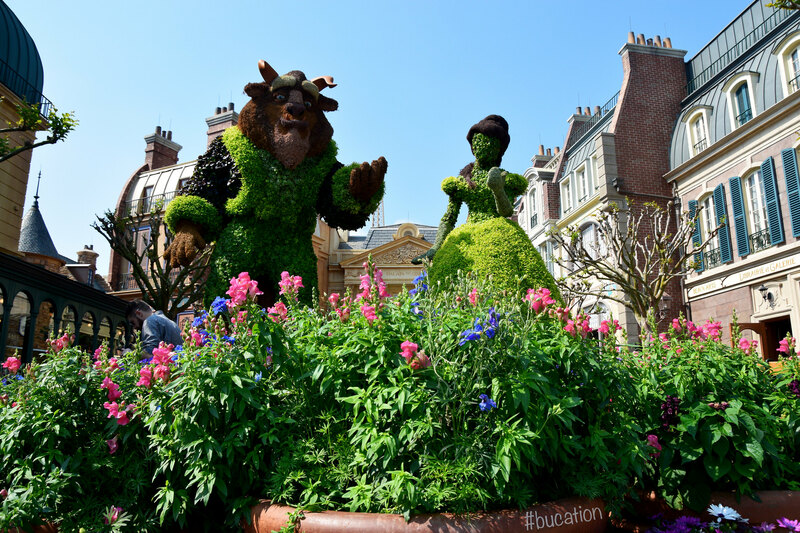 EPCOT’s floral displays are not only incredible to look at, but also provide a wealth of horticulture knowledge to those interested in learning more various garden and landscaping methods. Various planting techniques are also on display to help increase knowledge about newer methods of greenscaping. More information about the various techniques on display are also available at the demonstrations offered in the Festival Center on Fridays, Saturdays, and Sundays. These demonstrations are free of charge, but they fill up fast. Be sure to check the Festival schedule for specific times & information. There are a few new acts taking the stage at the American Gardens Theater for the 2017 Festival including Blood, Sweat & Tears, Brian Howe (formerly of Bad Company), Georgia Satellites, and Darlene Love and we have the return of old favorites like Starship starring Mickey Thomas, the Village People, Herman’s Hermits and the Gin Blossoms. Admission into these incredible concerts is included with the price of your park admission, and they are not to be missed. Shows take place every Friday, Saturday, and Sunday at 5:30, 6:45, and 8:00 p.m., so be sure to catch at least one of the day’s three shows. When it comes to the foodie favorite Outdoor Kitchens the chefs of Epcot have outdone themselves yet again. For 2017 we have the return of old favorites and two delicious new additions all featuring the tastiest temptations this side of the monorail. Over the years the EPCOT Flower & Garden Festival has become a mini version of EPCOT’s most popular (and crowded) event, the Food & Wine Festival with the addition of its tasty outdoor kitchen kiosks in 2012. It’s no secret that we are horticultural enthusiasts, but the addition of these tasty kiosks is what makes our visits during this time of year even more spectacular! Each year the Festival’s outdoor kitchens feature savory samplings of seasonal food items along with specialty beverages. These temporary kiosks can be found throughout World Showcase, and they feature unique menu offerings specifically selected for the Festival by the EPCOT Culinary Team. Each menu item incorporates the Festival’s garden fresh theme. The Berry Basket is an Outdoor Kitchen new for 2017. This kiosk features lamb chops, quinoa, and berries galore! The Northern Bloom is also an Outdoor Kitchen new for 2017. On the menu you will find scallops, beef tenderloin tips, french green beans, and potatoes. La Isla Fresca is an Outdoor Kitchen that was introduced in 2016 and it is once again returning to the Flower & Garden Festival in 2017. This Kitchen’s menu will have you #IslandDreaming in no time! It is located near the main entrance to World Showcase from Future World featuring a taste of Caribbean Cuisine such as delicious jerk-spiced grouper and chicken. While you’re visiting the La Isla Fresca Kitchen, be sure to cool off with an ice cold Red Stripe. The Cider House is another returning kiosk introducted during the 2016 Festival. It is located near the United Kingdom Pavilion. We love everything about the location of this Outdoor Kitchen as it lends not only to panoramic views of World Showcase Lagoon, easy access to the Rose & Crown Pub, but it is also a great spot for people crowd-watching. This Cider House features an organic pear hard cider known as “The Pitchfork” that we are still daydreaming about. For foodies, we recommend the Potato and Cheddar Biscuit. The combination of the soft oven baked biscuit, potato, chive, sour cream, and the mouthwatering salmon tartare is out of this world! The Smokehouse returns for 2017 with its fan favorite pulled pig sliders and beef briskets along with newly added smoked pork ribs and a warm chocolate cake dessert. This Kitchen is located near the gift shop at the American Pavilion. If you didn’t see this Kitchen for yourself to know it was there, you’d certainly be able to tell as the aroma of its delicious barbeque flavors float throughout World Showcase. We couldn’t wait to dig into the smoked pork ribs that were hands-down finger licken good y’all! Confit de Canard from the 2015 Fleur de Lys Kiosk in France: Pulled duck confit with garlic & parsley potatoes – C’est Magnifique! Fleur de Lys is a festival favorite for us and it returns for 2017 with a whole new look and menu. Many of the same ingredients can be found in this year’s entrees, but the all new cassoulet au confit de canard. C’est magnifique! The pulled duck confit absolutely melts in your mouth and the braised flageolet beans are a nice compliment to an already amazing dish. We recommend pairing yours with a refreshingly delicious Kir Imperial, and a view of the picturesque France Pavilion. Pineapple Promenade – A Festival Favorite! The Festival’s kitchen kiosks allow guests to transport themselves on a culinary voyage around world showcase all while enjoying the beautifully landscaped grounds of both EPCOT’s World Showcase and Future World. Most of the Festival’s international-eats are sharable portions priced between $4-$7.00 each. If you are on a Disney Dining Plan, you may redeem one snack credit for one of the kiosk’s food menu items. After sharing just three small plates from the kitchen kiosks, we find ourselves more than full! Arrive early and make the most of your time at The Festival. The lines at The Festival’s Outdoor Kitchens and Gardens begin to grow as the day goes on. We love staying at one of the Epcot Resorts and dipping into Epcot to taste our way around The Festival Kitchens for lunch. The crowds are never at the level of the Food & Wine Festival, but our best advice is to plan to explore the kiosks early as the lines do get a bit longer in the afternoon. We found the two busiest outdoor kitchens were located near the entrance to World Showcase. Both the Pineapple Promenade (located on the Canadian side of the entrance) and the Jardin de Fiestas (located on the Mexican Pavilion side of the entrance) were consistently packed. We attributed this to their location, and also the popular offerings of these kiosks – such as Dole Whips. If you find yourself visiting the Walt Disney World Resort area during the Flower & Garden Festival, we highly recommend it. It’s an excellent opportunity to enjoy the beautiful landscapes and Festival activities which make the Flower & Garden festival a great time to vacation together, and we hope to see you at the most floral time of the year during the 2017 Epcot Flower & Garden Festival! Have you experienced EPCOT’s Flower & Garden Festival or any other special event at the Walt Disney World Resort? If so, we’d love to here your thoughts!